The two statues flanking the doorway are by Arno Breker who was heavily into this heroic stuff. The one on the left was called “Die Partei” and the one on the right “Die Wehrmacht” (by Hitler, Breker had other names for them). There’s a copy of “Die Wehrmacht” in the (highly recommended) Zeughaus museum on Unter den Linden. If you want a laugh or just like the sound of grinding teeth, go up to one of the museum attendants, point at the statue and say “Oh wow! That’s great! Is it the original?”. They love it! Back to more pressing issues. Remembering that – were those doors open – you could see our old friend the Ritterschaftsdirektion. Don’t believe me? OK, this is the quick tour. There are zillions of photos on the Internet of the NRK – try Pinterest, for example. We are going to give the Vorhalle (reception area) the flick and mosey on straight into the Mosaiksaal, or Mosaic Hall in English. This would’ve been some sight: 46 metres long by 20 wide by 16 high(!) and the whole thing done in marble and mosaic. There were nine of those mosaic panels with each holding a fine mosaic of two eagles. I have read that one of these panels has survived and is in the Zeughaus on Unter den Linden but I have yet to see it. 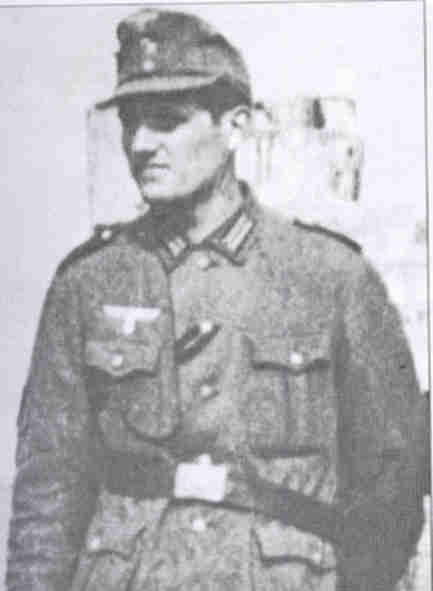 …and here’s Hans-Valentin Hube’s (Hube was a general who had been awarded the Knight’s Cross with Swords and Diamonds – the highest award you could get in the Third Reich if you don’t count Goring’s stupid decorations – on Hitler’s birthday, 1944, and who was killed in a plane crash the next day in Salzburg). The first two books are memoirs, Hoffmann’s is more academic. The first memoir, Rochus Misch’s, is an excellent read. He only died in 2013, still lived in Berlin and was apparently quite happy to discuss his time in the NRK. He narrates the poignant story of playing with the Goebbels children who called out “Misch, Misch, du bist ein Fisch!” (“Misch, you’re a fish!). It must have been very traumatic for him to see their eventual fates. He also gives an interesting insight into life in the NRK, especially in The Bunker where he was probably the second-last to leave. Traudl Junge’s book is also good as she talks of Hitler’s treatment of his staff on a personal level, for example he personally offered condolences at the death of her husband and preferred to eat his meals with his (female) staff when he could. The final chapters cover her very real (to me at least) disillusionment with Hitler and I believe her feelings of guilt were real as she often says that she can’t believe how gullible and selfish she was. Like Speer at the murder of Herbert von Bose, she turned a blind eye. Peter Hoffmann’s book is a cracker although it becomes a little technical in places. The anecdotes,however, are great: he quotes Hitler as complaining about the chance of assassination from across Wilhelm-Strasse with the words “An assassin with a gun could shoot me or any other idiot from across the street ..” (quotation not exact, I’m too lazy to look it up but that’s the gist of it.) And one of the Chancellory staff had the unenviable job of ringing up Sepp Dietrich at the Lichterfelde barracks to complain that some of the SS guards were spending their guard duty time riding up and down the elevators or putting their faces up against the glass windows during briefings. Don’t believe everything you read on Wikipedia: “given his old age and failing mental faculties”? Give me a break – he was 67. There’s not huge amount of interesting information on the East Wing that I can think of so let’s walk right past it and I’ll update this section if anything comes to light. I’ve included this post-battle photo (courtesy Feldgrau) because it again shows that distinctly unDeutsch kink in Voss-Strasse. The East Wing did abut the Borsig Palais, the building which we have encountered before: if you’ve been paying attention and have a good memory you may recall we touched on the assassination of Herbert von Bose in Post 10: Getting Around. Like Erich Klausener who was murdered across the street at much the same time in the Transport Ministry, von Bose had underestimated his opponents. He and another bloke had prepared a dossier that they were going to give to Hindenburg and this was supposed to convince Hindenburg to mobilise the Reichwehr against the Nazis, specifically the SA. So far so good. On June 17th 1934, von Papen delivered his Marburg speech which was “intended to serve as a signal to all opposition forces in Germany to prepare to rise up against National Socialism” (Wikipedia). And it did offer a glimmer of hope as lots of people agreed that it was a jolly good speech. But as far as “rising up against National Socialism” goes , it is to me almost a definition of optimism. The Nazis had won power only five months before. A glimmer of hope? Not to the Nazis. On June 30th 1934, the Night of the Long Knives / Fall Kolibri / Blood Purge / Rohm Putsch – take your pick, it’s all the same event – began. Actually, it was more like The Mid-Morning of the Long Knives because sometime after 10 am a number of SS and Gestapo individuals entered the building and shot von Bose in the back ten times. As I’ve mentioned before, I believe the Borsig Palais was situated pretty much where the Peking Ente is today, so now we’re back at the Wilhelmstrasse. Let’s turn left in the direction of Unter den Linden and walk towards An der Kolonnade . However, if we stop just past the Peking Ente we should be standing pretty much where the entrance to the Ehrenhof (Court of Honour) stood. Interestingly, for me at least, is the fact that there were traffic lights outside this entrance so that official vehicles could drive in. The vehicles drove in the left-hand entrance, drove clockwise, deposited their occupants and then were driven out the right-hand entrance. Having not seen any photographic evidence of them, I would suggest that the traffic lights may have been temporary (i.e. assembled when needed). Let’s go in and have a quick look although if you really want a thorough look inside, Christoph Neubauer’s DVD is still the best bet. Now before we continue … this rapidly diminishing car park is one of the few spots left in the Berlin Defence Area of 1945 where you can still actually stand on the very place where things happened/stood. If you are of that particularly bizarre bent that you feel the need to stand in Hitler’s office for example you still can do so if you are prepared to run around the car park like an idiot to ensure you covered every single spot although even then you’d never be certain that you’d done it. But what you can do is have your photo taken in the car park and then when you’re watching “Downfall” or “Valkyrie” with a friend you can point at the screen and shout “I’ve been there!” although this is not recommended if you are in a cinema or are courting a particularly toothsome companion. In the interests of hurrying this along I will combine some photos. If you want a bigger copy, email me or leave a comment in the … ummm … Comments section. By my estimation, that wire fence indicates the approximate position of the terrace outside Hitler’s office and below which the HJ boys were decorated. If you don’t get there soon the whole area will be just one big Roselands or a YummyBurger franchise or something. Yes, it’s a trolley. A number of period photos show (mainly) women pushing these things as their only means of moving things around, there being no privately owned cars. Photographic evidence suggests (to me at least) that they were appropriated from the nearest railway station, in this case probably the Anhalter whose ruins remain close by to this day. The lower photo is simply a comparison piece to show how much trouble the Art Department of the “Downfall” movie took to get things right. It should be noted that the three sections of the NRK were roughly the same length – around 100 metres, although by my reckoning the Mittelbau (Centre Section) is slightly longer than the other two. How can you tell which wing you a looking at in a photo? Here’s a tip: the two eagles – one on each wing – are looking at each other, thus if the eagle (as above) is looking left, you’re looking at the West Wing. If he’s looking right, you’re looking at the East Wing. Simples! you will, by my reckoning, be standing fairly close to where this young man lay. BTW, the Russians did have a practice of positioning corpses after the battle to add some propaganda value to the photo however, IMO, the above photo is genuine. You might spare a thought for this young man who, like so many other Germans, Russians, French, Spaniards, Latvians etc died in this battle. Note: Once again I have no intention of detailing the history of this building – all such info can be found on any decent search engine. Instead I hope to indicate where things were (and what’s there today) and to provide anything of interest that may provide some curiosity value. You are sitting where the small red cross is (far-left). To your left, the buildings with the brown roofs are the SS quarters mentioned above. Number 4 indicates the entrance to the two underground garages and 9 is where the entry to the coal lifts was. Number 2 is one of three Voss-Strasse entrances (number 6 postal address) and 3 is postal address 4. Not shown is entrance 2 which was roughly where the kink starts in Voss-Strasse. The red line is the frontage to the west (or left) wing, the blue indicates the Mittelbau and the orange the east (or right) wing. On the corner is, of course, the Borsig Palais and the pink line indicates the frontage to the Siedler extension (you will notice Speer has included the Fuhrer balcony so we know this model was built after … anybody? anybody? … yes! 1935! Well done that boy up the back!). The brown line indicates the Old Reich Chancellery. The SS guards’ quarters are behind the green line and in front of the line is a wall separating the guards’ garden(!) from the Chancellery garden. The red arrow indicates the Orangerie (I believe we would call it a greenhouse). A direct line from the Orangerie leads through the ornamental pool, across the Hitler Youth (henceforth HJ for “Hitler Youth”) terrace and through five large French windows into Hitler’s office in the middle of the Mittelbau. The bunker exit outside which the Hitler bodies were burnt was outside the rear of the Old Chancellery. You and your Starbucks coffee are once again at the top centre (red circle), looking down Voss-Strasse with HG/Ebertstarsse on your left. The red arrows indicate (from top) the terrace where Hitler decorated the HJ boys, the ornamental pool and the greenhouse. This then is the setting for the drama of April, 1945. Next to the Transport Building (Number 33) was the very large Wertheim department store which took up a goodly sum of the south side frontage of Voss-Strasse. 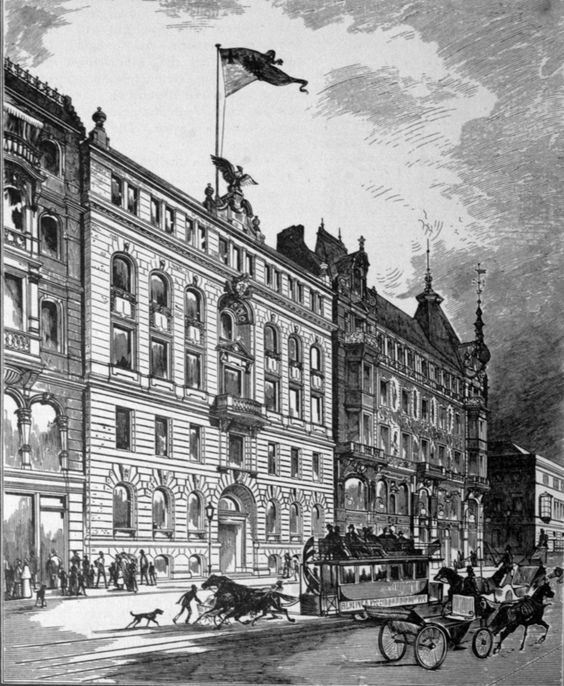 Like the grand hotels of Berlin, the grand department stores would make an excellent blog on their own, as would the grand railway stations. However we will content ourselves with this particular department store. The Wertheim store was one of a number of large, modern stores in pre-war Berlin (the others included Tietz – unfortunate name – and Kaufhof des Westens, each worth a Google). The owners of both Wertheim and Tietz were Jewish and were eventually forced to relinquish their ownership to the Nazis or approved Aryans. After the war, the remaining Wertheim assets in the eastern part of the city were confiscated by the DDR’s Handelsorganisation. and in fact the Stadtbild-deutschland site is, IMO, the best resource for pre-war photos of Berlin. And there was a U Bahn tunnel underneath and a passage to the Kaiserhof U Bahn station for customers. Remember the screenshot from the bunker under Number 33? As a matter of interest the last two buildings on the south side (i.e. from Wertheim to Hermann-Goringstrasse) were the Mosse Palais, Number 22 (also Jewish-owned) and the Reich Naval Office, Number 20, which later relocated to the Bendlerblock. So now having walked the entire length of the south side of Voss-Strasse, we have arrived at Potsdamer Platz where we can pick up those who flew in earlier and who have been waiting patiently for us. Or drinking so much German beer that they are as full as a bull’s bum. 16(a) Voss-Strasse: The Left-Hand Side. Remember at the start of this blog I recommended that you get a wriggle on if you want to see some of the surviving historical architecture and other sites in Berlin? Well, here’s why. As we walk up Voss Strasse towards Potsdamer Platz, on the corner we see the Mall of Berlin. Opened in 2104, it occupies the site of the former Ministry of Transport. Up until 2014, you could still see the ruins of the Ministry with a nondescript DDR wall around them. In fact. the Berlin Unterwelten (https://www.visitberlin.de/en/berlins-unterwelten-museum) used to access the air-raid shelters/bunkers from the ruins of this building. He was assassinated in his office in the Ministry of Transport during the Night of the Long Knives. Coincidentally – or come to think of it probably not – he had worked on the Marburg Speech with Herbert von Bose who was also assassinated in the Night of the Long Knives just across the street in the Palais Borsig in 1934. (See Post 10: Getting Around). Here’s what Klausener looked like and a shot of his grave, courtesy of Wikiwand. His gravesite is in St Matthias Friedhof, Berlin. If you haven’t read the previous posts and are just interested in the Propaganda Ministry, you should read Post 9: Checking Out the Neighbours as it has some information on the building and its fate. As I indicated in Post 9, it is possible to get into the building itself as there are often exhibitions or displays. It’s a sobering thought to get inside the building and realise that Dr Paul Josef Goebbels – or the Poison Dwarf if you prefer – had walked the same corridors as he planned the propaganda releases of the day and the seduction of whichever toothsome young lady had caught his eye. If you get into the building and want to take photographs, my advice is: don’t ask permission. I say this because I was at an exhibition and asked permission for photographs and the attendant looked nonplussed and then said NO. I got the impression that he didn’t know whether it was kosher or not but said No just to be safe. If that bloke at the extreme right (hmmm … must be a Nazi) were to move his left shoulder, you could see one of the arches. This contemporary photo shows where the original building would have been – the red line shows the frontage corresponding to the previous photo, the two blue lines roughly where the balcony would have been and the green circle is roughly where the bloke with the big left shoulder stood. Now let’s have a look at the back of the building in Mauerstrasse. The quickest way is to follow the orange line in the Google Earth photo below. The red area is the site of the original Ordenspalais, the blue lines indicate the surviving Propaganda Ministry building(s), leave the green lined area I’ll explain it later and head for the pale green area which you should recall is now the North Korean embassy, formerly the Hotel … anyone? anyone? … yes, Kaiserhof! Well done! Here it is today. Well, 2010. See? No eagles. I counted the windows, compared the number and shape to all the other photos I could find, tried to match the aerials on the bloody roof and finally in despair I threw myself on the mercy of the good chaps at Axis History Forum (https://forum.axishistory.com/). Unfortunately due to the different time zones, all the European … ummm … enthusiasts were sound asleep, still up drinking or watching reruns of “Neighbours”. However, two members of the Forum came to my aid and within twelve hours three blokes from Australia had – courtesy of some sleuthing on the Internet – identified a (still-extant) building from a photo taken over eighty years ago in a city on the other side of the world. What an amazing world we live in! A far cry from my crystal set and going to the pictures in my pyjamas! The history of European first-class hotels would in itself make an interesting blog but here we are only concerned with those in Berlin and specifically the Kaiserhof. But first some context: the Grand Hotels in Berlin would include the Adlon – which we’ve already seen on Pariser Platz – the Excelsior, whose main claim to fame was that it was directly opposite the Anhalter Bahnhof and guests could walk to or from the station through an 80 metre long tunnel without having to bother themselves with the pesky real world above. Guests could even buy their train tickets from a booth in the hotel. The Kaiserhof site is now the Republic of North Korea embassy. If you walked down to Mauerstrasse in 2015 and turned right, you would find the entrance to this embassy. There are – or were – numerous posters of goosestepping North Korean soldiers waving bright red flags on a board out the front. I’m guessing there’s no word for irony in a North Korean dictionary. During the afternoon of April 29, 1945, Dr Gustav Krukenberg, SS Brigadefuhrer and commanding officer of the remaining French SS soldiers in Berlin, awarded the Knight’s Cross to 21-year-old Unterscharfuhrer Eugene Vaulot for destroying eight Soviet tanks in 24 hours. 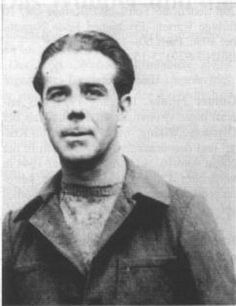 Shortly afterwards, Vaulot was ordered – hopefully not by Krukenberg – to lead a patrol from Krukenberg’s HQ in the Stadtmitte U Bahn station to the Kaiserhof Hotel to find some table linen, which he did. Table linen? I can’t believe that was the sole reason for the patrol especially when you consider that the Kaiserhof was around 550 metres from the German front line in Prinz-Albrechtstrasse. So when you’ve finished looking at the site of the Kaiserhof/North Korean embassy, walk back down to where the Wilhelmplatz meets Vossstrasse and look down towards the Air Ministry building. On the block opposite (but on the same side of Wilhelmstrasse as the Air Ministry) were the RSHA/ Gestapo HQ in which were holed up the last few French SS of the Charlemagne Division. My point? On the day before Hitler shot himself, a French SS patrol went looking for table linen while their compatriots were holding off the Red army 500 metres away. The only troops on Wilhelmstrasse between the Soviets and Hitler were around 50 – 60 French SS. 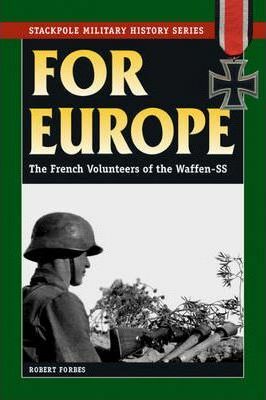 The other 300 or so French SS who had volunteered(!) to drive/march into Berlin were all dead or wounded. Dunno about you but I find that a major spinout. My advice? read Forbes’ book. If you’re not particularly interested in the history of the Charlemagne Division, just read from Chapter 13 (“The First Days at Berlin”) onwards.